Lately, I’ve accumulated mounds of jewelry from various places… I may have gone a little overboard buying pieces for Christmas gifts to myself (especially with so awesome deals via Groopdealz and Every Day Icing). I had to purge my collection to make way for the new additions, but I still found myself with a lack of storage space. Specifically, I had a tiny amount of wall space in a corner of my bedroom but no tabletop/dresser space at all. I still wanted to keep my pearls stored safely in my armoir (that does double duty as my makeup station and holds necessities like socks/underwear/hosiery), but I have no problem displaying my costume jewelry out in the open. Pinterest to the rescue! Even before I was looking for a jewelry storage solution, I was pinning many, many ideas that I saw onto my Storage Solutions board! Hang necklaces on the tines of an old rake head! 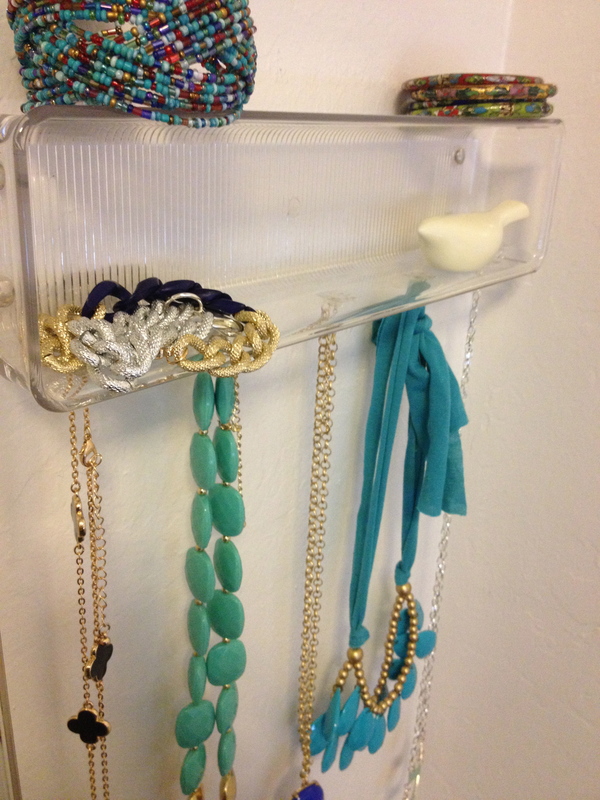 Use a paper towel holder for bracelets! Spray paint and hang an oven rack! 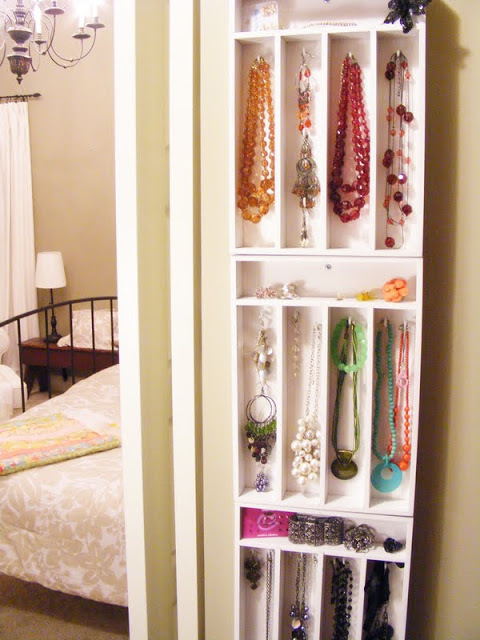 Re-purpose an old drawer with lots of hooks! Open frame with patterned paper/fabric background! Empty frame with eye hooks! 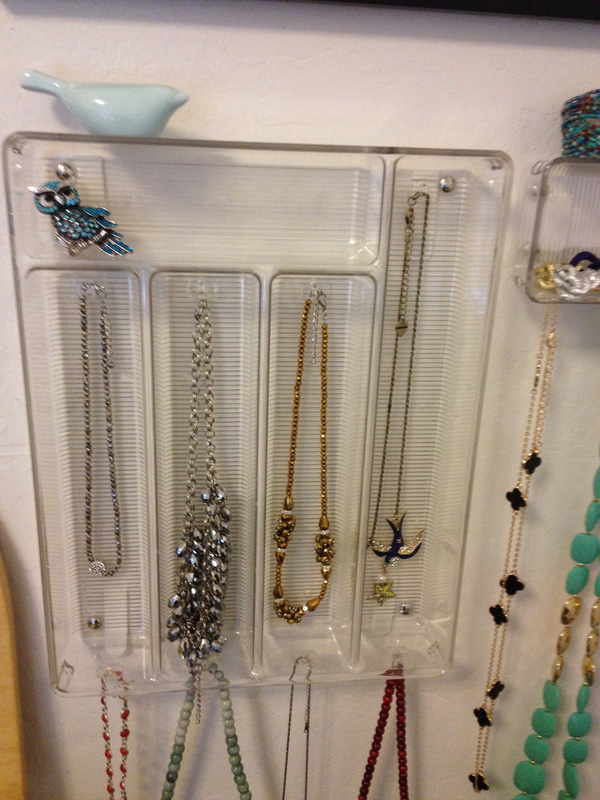 Framed mesh for earrings, and a shelf with knobs for bracelet/necklaces! Towel rack and shower curtain hooks! I mean, how perfect?? So I headed to the hardware store looking for a silverware tray that I could use. I didn’t have enough space to stack multiple trays, but that would be an awesome solution for an awkward space between two doors or a small strip of wall. I tried to find something wooden, but the best thing I could find was clear plastic. Not exactly what I was going for, and I’m sure it could be cute-ified with some spray paint like all the other bloggers in DIY-land, but in the end I liked the look! 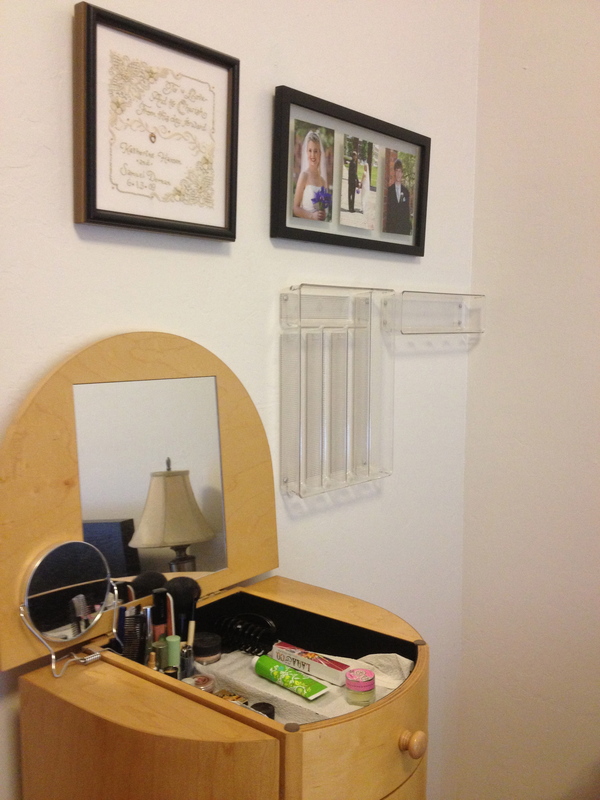 It didn’t clutter up my small space, and with no alterations it was finished lickety-split! 2. Attach the tray to the wall. 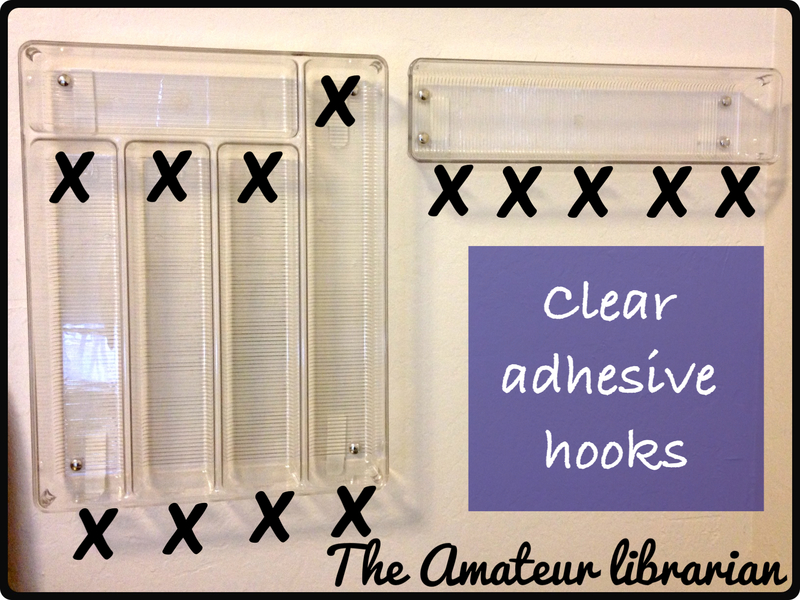 I used 3M adhesive hooks again, the kind for hanging picture frames. The tray and jewelry combined isn’t too heavy, so anything more heavy-duty isn’t really necessary. Then load up the jewelry! Ta da! 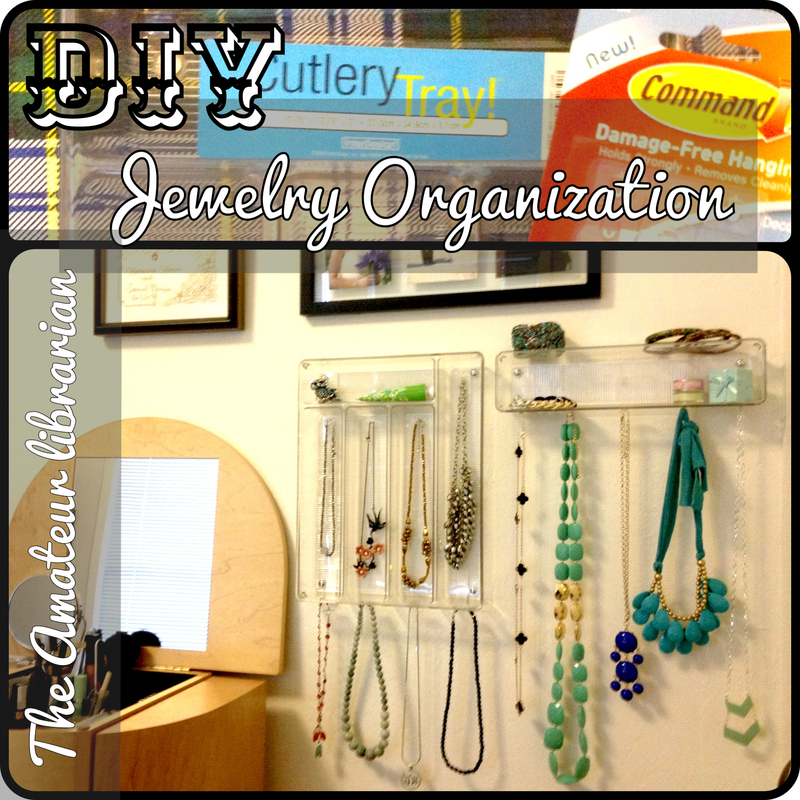 I’m so glad I finally executed one of these jewelry organization pins! I love having my prettiest pieces out in the open, and I’m much more likely to wear them when I can see them! Hooray for Pinterest, yet again! Love it! The clear really does look great. I did something like this a year or so ago with these fabulous square wooden hangings I found at World Market. They were carved in an India-inspired style, and I just twisted hooks into them. I think open-storage for anything is key for frequent use (especially when you live a rushed lifestyle). Ooh this is adorable! I love the rake pin too! ♥ Love all of these ideas. Yours is wonderful, too. Repurposing is fun. I love love that you used the clear holders! 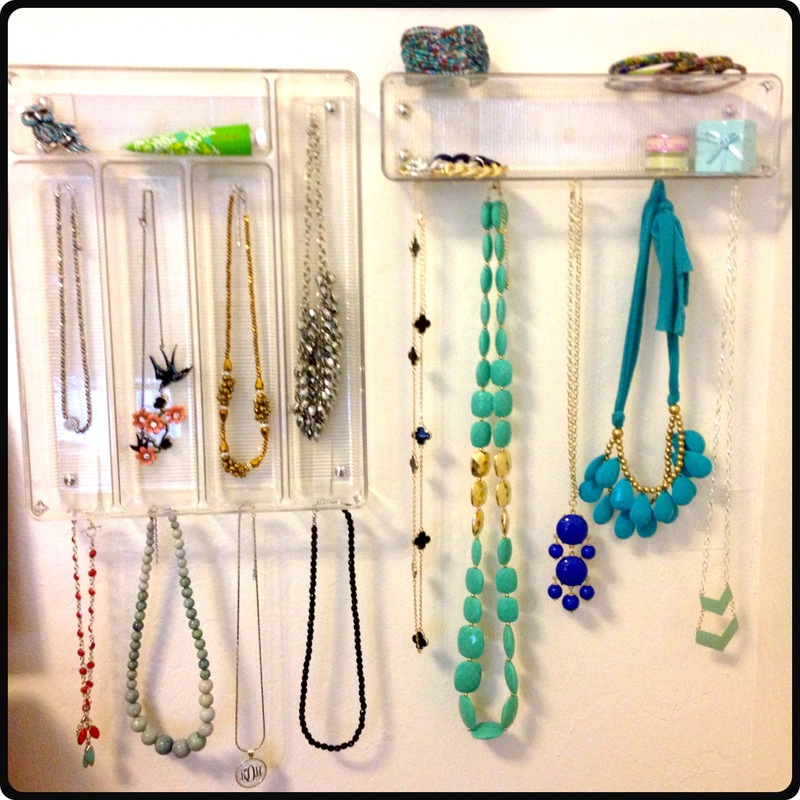 I made an earring holder for my daughter, it makes a huge difference in keeping things organized! 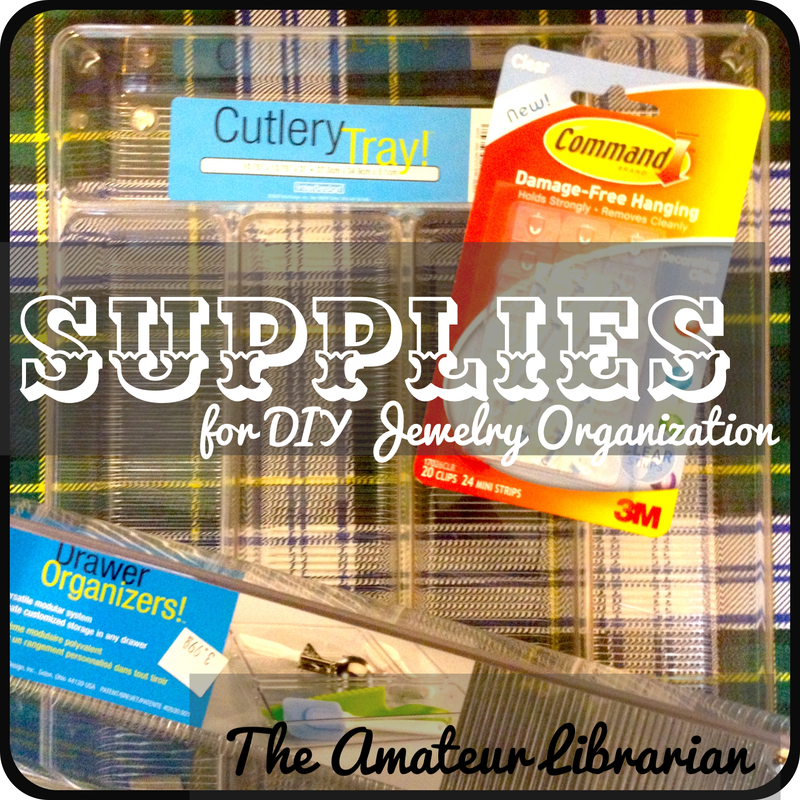 Awesome – I’ve been dying to do this and just haven’t found cutlery trays I like enough!! The idea of adding the clear hooks is brilliant. Thank you! 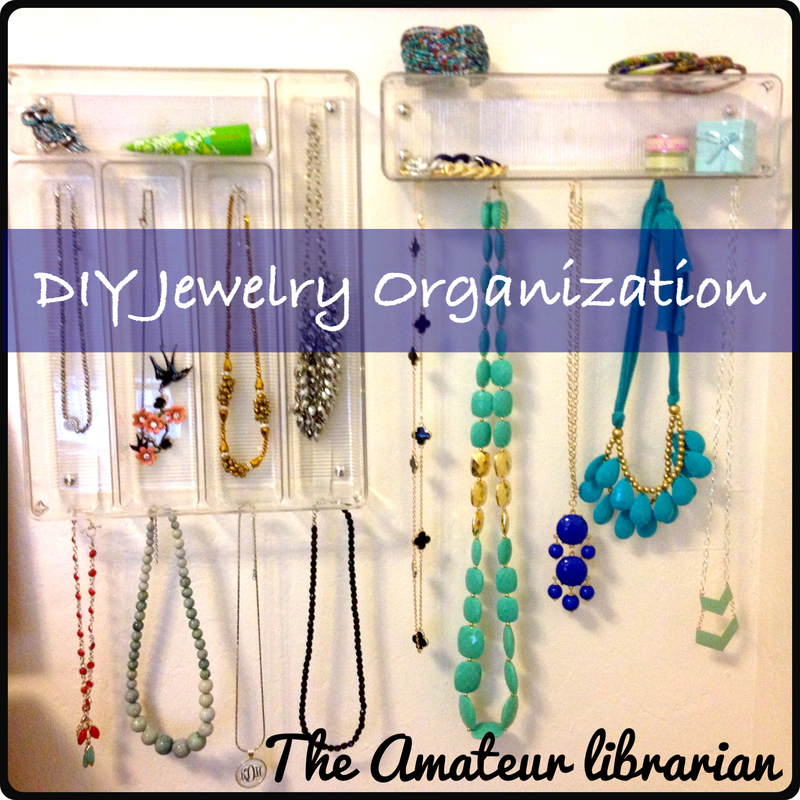 I see so many cute ways of jewelry organization that I can’t decide which I want to do! I love all of these!